If you're a small organization trying to adopt DevOps, you need to articulate a vision, start with culture and sharing, prune the bad apples, and have leadership buy-in. Ed was demoralized. He had just heard a speaker who would change his life. He knew he needed to change, and he knew what the end goal was; he just didn’t know how to get there. He needed fresh air. He needed endorphins. 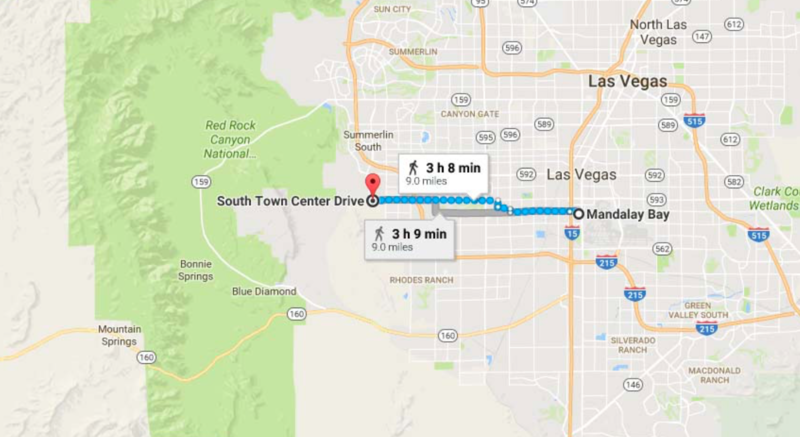 What better way to do that than go on a six-hour run through some of the seedier neighborhoods of Vegas to the edge of the desert? Ed Ruiz (@eruiz06) is the Senior Director of IT for the Association of Schools and Programs of Public Health (ASPPH), and I heard him share lessons learned from his conversion to DevOps during the marathon All Day DevOps Conference (free, online). Here’s where his journey started. Earlier that year, ASPPH recognized a need to modernize their membership structure. They had ballooned from 31 to 106 members. Ed had a staff of 10, supporting 54,000 students and 13,000 faculty members serving in 141 countries. They were steeped in following the Microsoft Enterprise handbook, deploying via the Waterfall method every three to six months, and recognized they needed to update their IT infrastructure. There, amongst the glitter and glam of a ballroom on the Strip, Ed heard DevOps Evangelist Andi Mann (@AndiMann). Ed was glued to what Andi had to say. This – this is what our organization needs. However, he quickly became demoralized because he didn’t know how to lead the drastic change. During Ed’s run following Andi’s keynote, he realized he needed to start with a vision. Spoiler alert: Ed was successful, but not without a few hiccups. Ed shared four lessons he learned during the session to help the rest of us pursuing our DevOps journey. Your team needs to understand what the organization does, why it is important, and how this change allows the organization to be more effective. The DevOps mantra emphasizes the equal importance of Culture, Automation, Measurement, and Sharing (CAMS). Too often, people are drawn to automation and measurement first. It is what they know. It is the DevOps tools that are fun to implement. According to Ed, over-emphasis on tools is a huge mistake. DevOps is called DevOps because it is implementing a culture of sharing between development and operations. Automation and measurement are tools to facilitate sharing, but if your team isn’t on board with culture and sharing, DevOps will fail. We all know that person (they go by many names: Dr. No, Negative Nelly, Milton). You don’t want that detractor in your organization. When Ed decided to keep a Dr. No on his team because of his technical acumen, it took half of Ed’s team quitting before he realized that the bad apple needed to be pruned from the tree. Dr. No’s negativity was contagious and led to poor morale that was eroding the culture needed for success. Ed’s advice? You can teach skills, but you can’t teach a positive attitude. Hire for the attitude first. Priorities and budgets will change and setbacks will happen. When you have buy-in from the leadership, it creates room to fail. You can pick yourself back up and take another step toward your vision. We don’t know what else happened in Vegas over those five days, but we do know Ed came home a changed man, he changed his organization, and we can all take some lessons Ed learned and apply them to our own transition to DevOps. You can watch Ed’s full presentation from the All Day DevOps conference here (30 minutes). The other 56 presentations from the All Day DevOps Conference are available online, free-of-charge here.